Snail farming can be a lucrative business only if a farmer understands it’s secrets. One major problem farmer’s face in snail farming is the understanding of how a snail grows, feeding and the diseases and pests affecting them. But in the other hand snail farming is the easiest and most simple farming anybody can start even without money at hand. It can be very lucrative because of low cost of feed and easy handling, Unlike piggery, fishery, and poultry, it can compliment any other farming activity being it crop production or animal production. But as we all know, every business has its own challenges, snail farming is not an exemption. 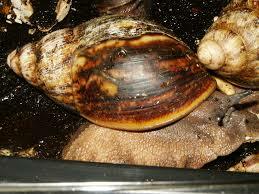 In Africa, snail farming is a cash cloak with each matured snail selling for 70naira per snail in Nigeria. Over 300,000tons of snails is being consumed every year around the worldwide. One of the setback people have in snail farming is the lack of knowledge and also some snail farmers finding it difficult to transfer their knowledge to other farmers for improvements. In snail farming, One major factor a farmer should consider is the types of snail specie to rear that will be profitable because some snail species are less profitable than others. So today we will show you the ones that are more lucrative. In Nigeria three types of snails can be found. ACHATINA FULICA: This snails specie originate from china and weighs up to 150-250grams. It shell is brown with some crossed and dark shape. It lays about 300eggs for 3 or 4times in a year. It can be found in many parts of Africa and matures after six months. Achatina fulica has a narrow, conical shell, which is twice as long as it is wide and contains 7 to 9 whorls when fully grown. Adults of the specie may exceed 20cm in shell length but generally average about 5 to 10cm. it is the smallest is size among all the desirable species for snails in Africa. 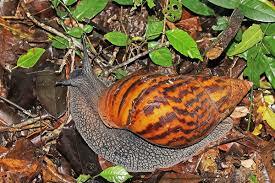 ACHATINA ACHATINA: this is otherwise called the giant African snail because it originates from Africa. The vertex shell is brown or black dome. It weighs up to 300-400gram. It lays about 300-500eggs in clutches three times in a year. It can attain a length of 200mm and a maximum diameter of 100mm, they may possess between 7-8whorls and the shell is often broadly ovate. The body of the snail is silver-brown in color although albino morphs may exist. It is one of the most desirable species in Africa for farmers. 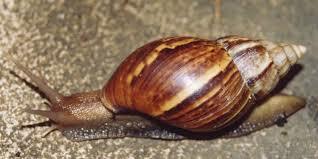 ARCHACHATINA MARGINATA: this is also known as giant West Africa. They can grow up to 20cm long and lives up to 10years. It lays up to 300-500eggs clutches three times a year. It is giant in size having 200mm in diameter. Having decide on the specie to rear, lets take you to the next step. Having visited Songhai farm in that past, snails are easily dehydrated and increased losses in snail may in turn to the dryness of the snails, so to prevent water losses from snaileries(snail house) must be in an environment protected from wind ,a low plain land surrounded with enough trees like bananas and plantains are suitable to break wind impact. Not all soil type is suitable for snail Farming. Snail shell is mainly calcium and most that is derive from the soil, snail also lays its eggs on the soil and drink water out of the soil. Hence, a suitable soil must contain this elements and must be balanced, not water logged, not too dry and must not be acidic. So therefore Sandy-loamy soil is the most desirable in snail farming with low water retention capacity, clay and acidic soil must be avoided. In modern construction of snail pens , the following must be considered in other to prevent pests like termites, rats, snakes, soldier ants etc. Snails pens should be surrounded with slopes full of water. The house should be surrounded with wind breakers like plantain and banana trees. They should have covers made of wood with wire gauze on top. It must be made in such a way to lap very well with the rectangular wooden frame that lines the top most part of the pen. Harden the base of the snail pen with cement to avoid termites. Keep pen dark by using dry leaves or flat wood to cover the top of the pen because snails like dark and cold places but always make sure that humidity does not drop to levels that are harmful to the snails. Another Interesting information to consider after construction of snail farm is the sourcing of the snails for the farm. To start a profitable snail farm it is advisable to get snails directly from the forest instead of buying from the market, after they have been exposed to sunlight and have been dehydrated, which may reduced fertility capacity of snail. Wait till 7pm-8pm in the evening when there is total darkness, you will pick suitable snails for rearing, repeat procedure until you get enough quantity fro rearing. Another technique, if you want to use the market snails, buy snails with eggs and hatch them used the hatched eggs to start your farm. - Number of snails per square can affect snail growth and productivity. - Snails mainly feed on green leaves and fruits, although supplements like layer’s feed can be introduced for shell formation. - Foods given to snails can be served in small trays and served in pens, while water is can be served in small flat plates, avoided dip plates while serving food and water to snails. - Hard foods like layers feed, corn mash etc should be soaked in water before serving while foods like potatoes should be boiled for easy consumption by snails. 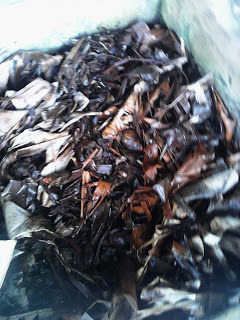 - Leaves: pawpaw leaves, boeravia, pruraria leaves, okro leaves, cassava leaves, lettuce,cabbages, ora-ngele leaves etc. - Feed items: flat plates (for feeding), water dish(for water supply), spray bottle(for water spray). - A mild climate of 590F-750F with humidity of 750F-950F is best for snails. - Do not allow the temperature to fall less than 460F or else the snail hibernates while at 540F, it become inactive at 500F it stops growing. - Hygrometer should always be placed in the snailery to measure humidity. - Thermometer(for temperature), meter rule(for snail measurement), and magnifying glass (To view egg in snails) should not be missing in snailery. 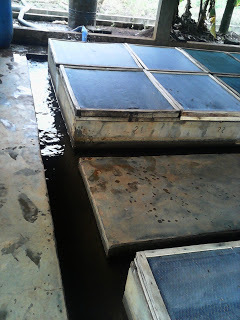 - Avoid water logging and the use of chemicals in snail farms. - Keep young snails in nursery pens for 6weeks under 8hours of sunlight before transferring to adult pens. - The first batch of snail that hatch eat their shells for calcium, so it is advised you remove hatched snails so they will not eat unhatched eggs for calcium. - Always supply calcium once a week. - Clean pen once a month to avoid pest and diseases. - Young snails should be buried for weeks in the soil so as to survive on their own albumen and shells, failure to do so increase mortality rate due to lack of calcium. The first factor to note in snail breeding is that snail is a hermaphrodite. This means it has both sexes at the same time. So there is no female or male snail. However during copulation, two mature snails come together and mate. Snails for copulation must have reached 6-15months of age, they have to be sorted and breed in groups, According to their sizes and density. The harvesting of eggs should be done at least once or twice a week, after the eggs are taken to incubating pens and buried a little dip in the soil where the snails come out on their own after 25days and remain in their shell for 10days before leaving their shells. Incubating pens should not be watered to avoid water-logging, when baby snails are being harvested care should be taken not to break the edge of their shell because they are fragile but if broken, the growth rate of the snail could be hampered. - Eggs should be kept deep in the soil. - Soil should not be water-loggged. - Eggs should be transferred with the soil it layed on to avoid egg spoilage. Diseases and pests of snails. Retracting body, torn mantle, decaying inner body, all this diseases are caused by bacteria and have no known cure but can be prevented by remove decaying food stuffs from the pens, cleaning of pens one a month will reduce their breeding. Pests: termites, soldier ants, rats, earwigs, orange and black ants etc are they major pests affecting snail farming and they can be prevented by building gutters filled with water round the pens. Other important information in snail farming. - Heliculture is the act of farming of snails. - During lightening of snail pens use fluorescent bulbs. - Remember snails stop feeding until they lay their eggs. - Their favorite fruits is cucumber and water melon while their favorite leaves are pumpkin and lettuce. Snails can live up to 5-10years. - Eats only at night and reproduces during raining season. - Always keep their pen dark to increase food intake and growth because they in darkness. Hard food stuffs like potatoes should be boiled before serving to snails but not in hotness.